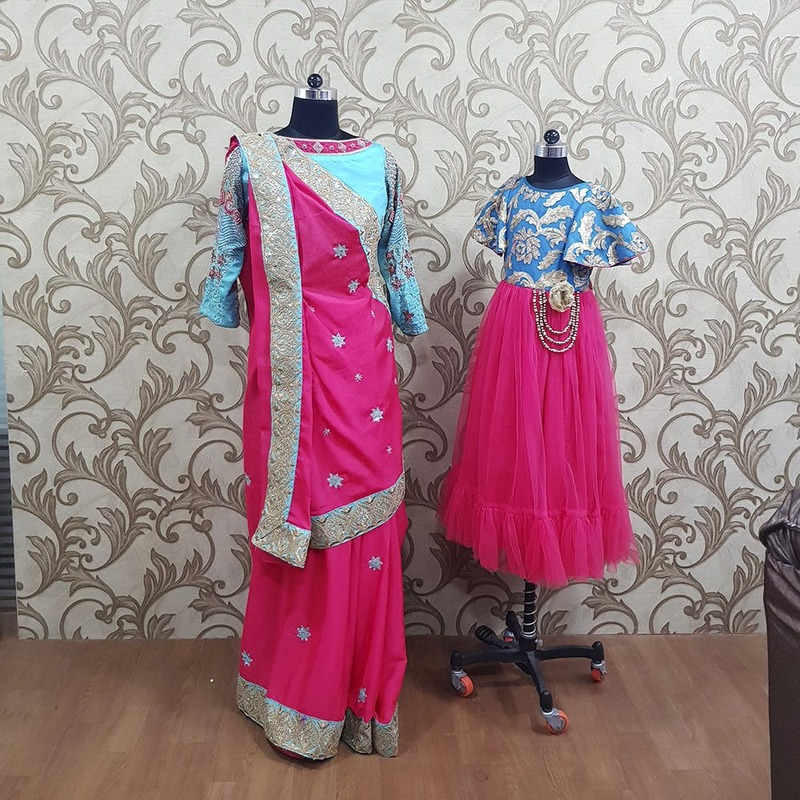 Started by Jesima Sulthan, Rehra Design Studio specializes in customized and coordinated outfit designing for your entire family at budget pricing. Colour coordinated outfits for couples is still understandable. But what about customized and coordinated outfits for your entire family? Well, Rehra Design Studio, a boutique run by a super passionate fashion designer, Jesima Sulthan, does that and does that well. Having opened its doors for customers in 2017, Rehra has made quite a name for itself with its bespoke tailoring and designing for both men and women. Housing highly experienced workers from across the city, Rehra can make all your ensemble dreams come true. With a clientele that’s spread not just across the city, but across the globe, Rehra has been charming people with her family combo outfits, where you can get matching outfits for yourself and your babies and/ or your partner. You just have to share what kind of outfits you’re looking for and give them a quotation and they will do their best to get your outfits done within that budget. As for the outfits, you can get anything from gowns and frocks for girls to sherwaanis, kurtas, formal shirts and dhoti sets for boys. As for the ladies, you can get a gown or anarkali stitched for yourself and guys, you can choose to go for kurtas and sherwaanis. Rehra can also design a saree for you from scratch, right from picking the fabric to doing the embroidery or picking a blouse that matches the outfits of the other family members. Basic family combos with minimal embroidery start from about INR 5000 and can go up till INR 20,000, depending on the craftsmanship and work involved. From weddings and naming ceremonies to birthdays and festivals, Rehra can do customized family combos or doubles combo involving one of the parents and children for all occasions. Simple customized outfits for two start from INR 2500. Rehra also specializes in zari and aari work. We particularly loved their gowns for both ladies and girls as well as their blouses. They also do great work with formal shirts for both boys and adults, so be sure to check these out if you’re looking to get something customized. If you're looking for something last minute, Rehra Design Studio can also design your outfits and deliver them within 2 days.